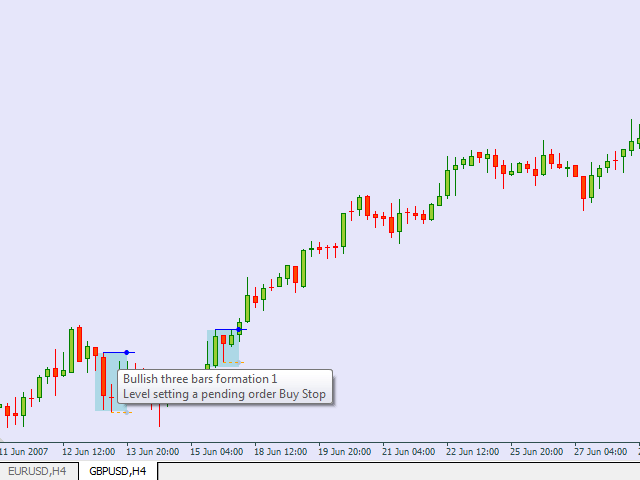 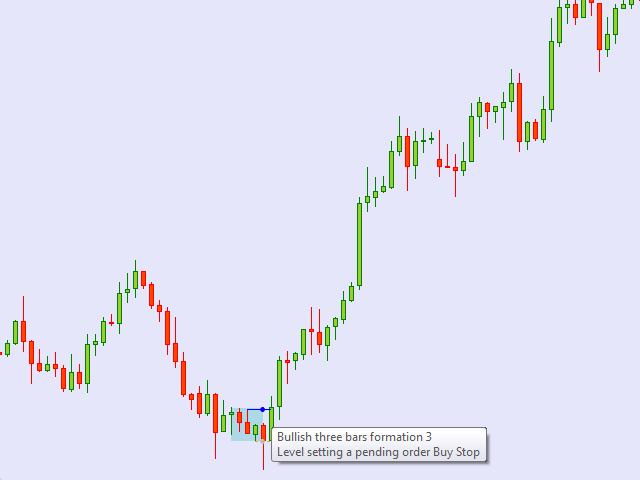 The indicator is looking for three-bar reversal Price Action formations. 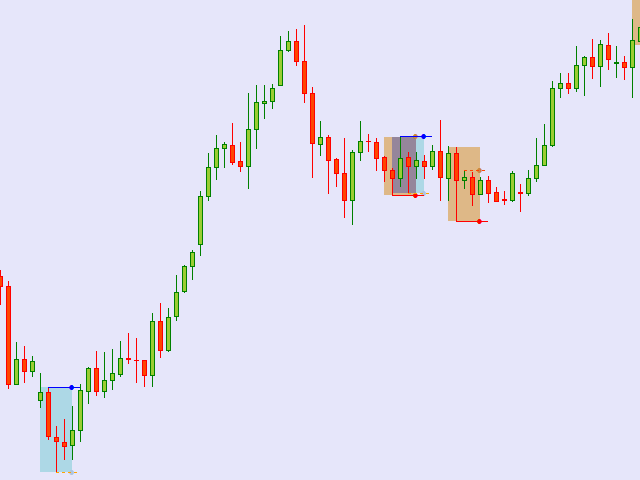 There are five of them. 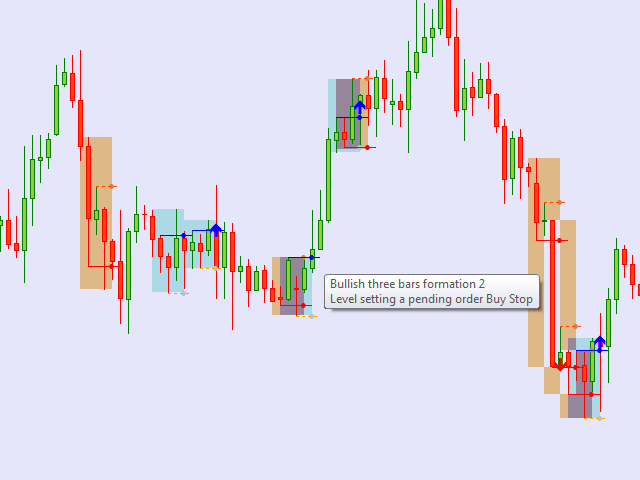 The four ones are bullish/bearish, while the fifth one works in both directions. 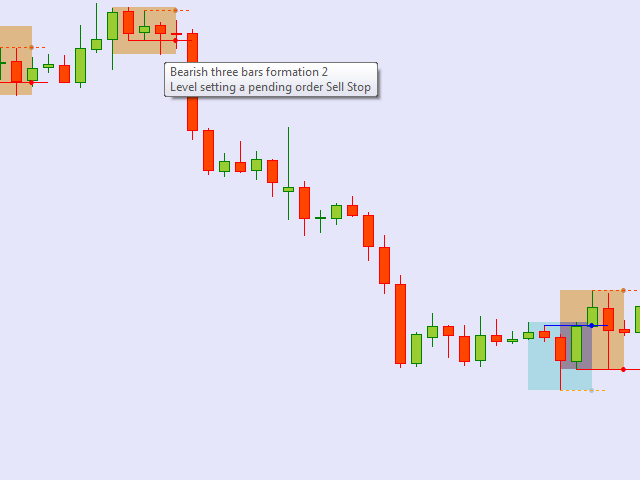 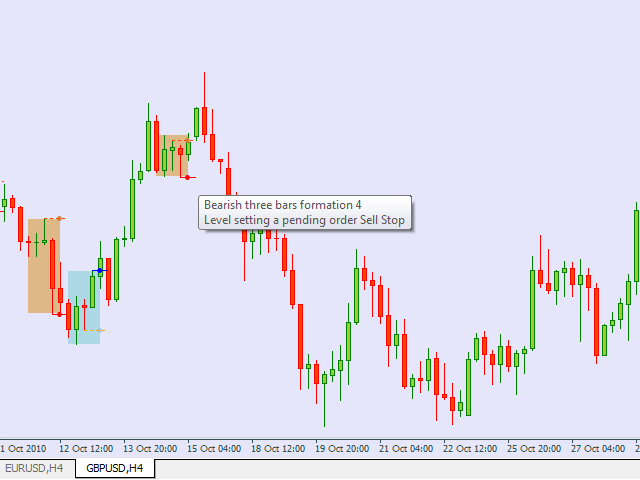 When the pattern is found, the indicator displays a pending stop order level and its stop loss price. 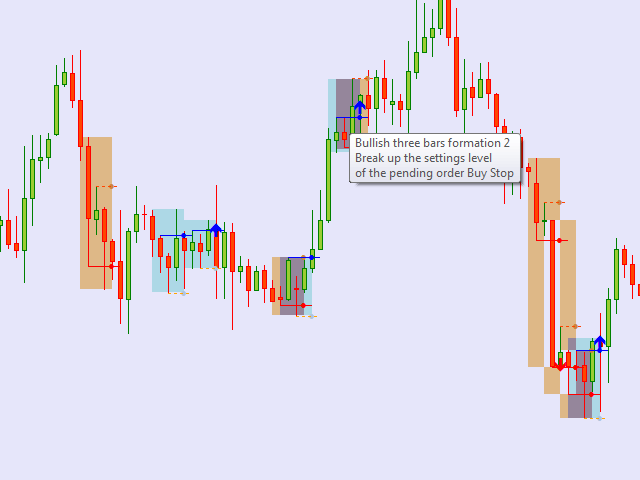 It also marks the pattern location on the chart (if enabled in the settings). 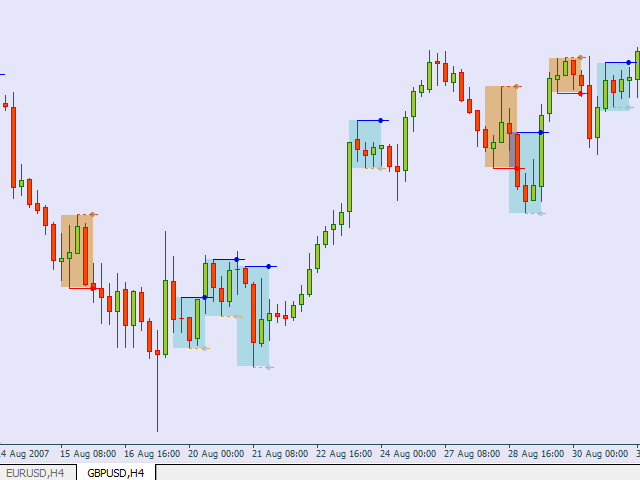 The indicator may look either for all the five patterns, or any combination of them. 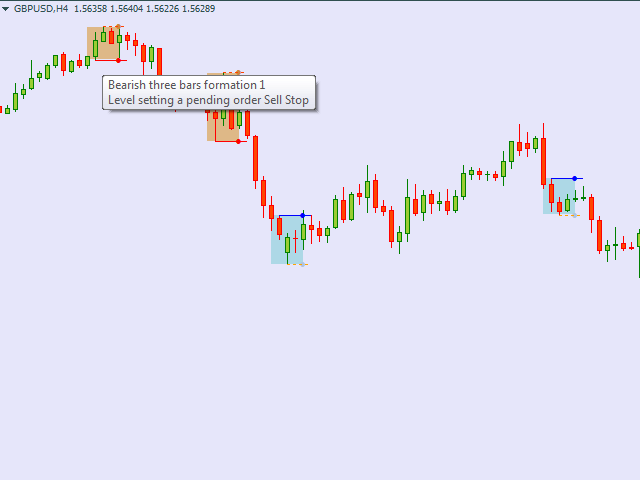 If you disable the search for all five, the indicator looks for the bi-directional pattern (in order to still find something). 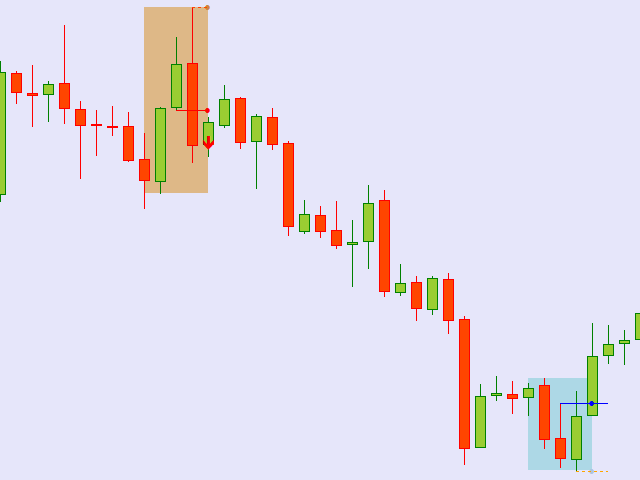 If the current candle's Open price is outside of the order placing line (the level is broken through when opening the candle and it is already impossible to place an order), the indicator shows an additional arrow showing the possible market position direction. 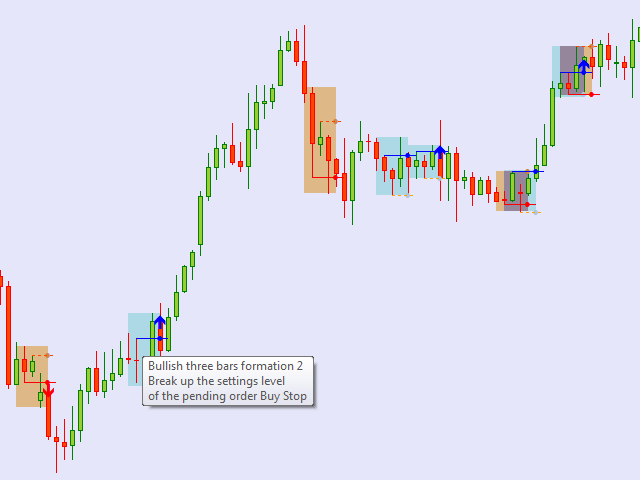 Three-bar formations often point to medium- or short-term reversals. 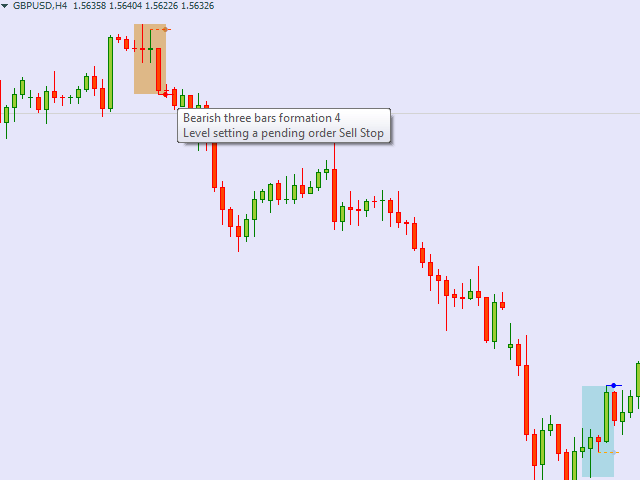 Like any Price Action patterns, the detected patterns should be confirmed by other criteria.